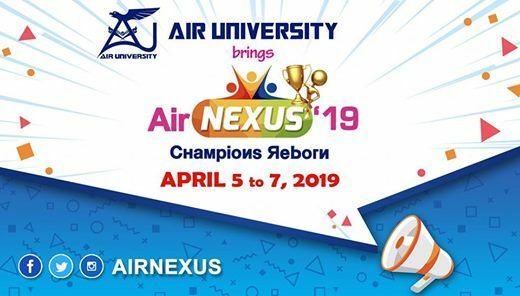 Air University hosts an annual Olympiad, named Air Nexus in the spring semester of every year. The objective of this event is to provide an opportunity to the students of Pakistan to develop communal skills and sportsman spirit. The mega event caters multiple domains of Sports, E-Gaming, Performing Arts, Culture, Literary and Media. 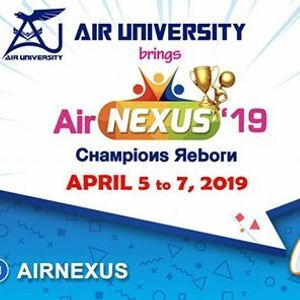 In addition to mind-nurturing competitive events there are several social events like Concert and Auto Show, which add charm to the Olympiad.